As a deal progresses down the stages of your funnel, every salesman will know that actions must be taken in order to maintain the momentum of the deal. For example, if a potential client begins a trial, it'll be a good idea to check-up on the deal after a couple of days to see how their experience is going. However, during busy times, remembering to make and execute these simple tasks can be a struggle. Also when more than one person is working on a deal, it may become unclear if someone has completed the task or left it for a colleague. 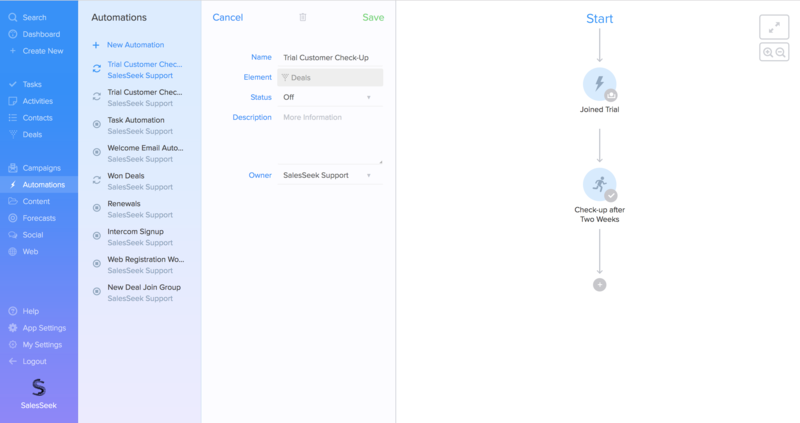 To help with these issues, Automations 2.0 can automatically create and assign tasks for a specified due date as deals move through stages of your funnel. 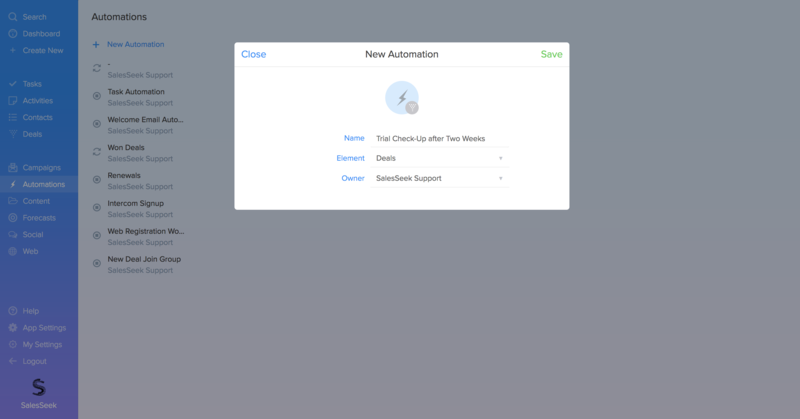 Below is a step by step guide on setting up such an Automation. Phase - pick the step of the funnel which you want the task to relate to. Task - choose the job you want to complete as the deal changes phase. For the example used within this article we want to create a task to check-up on a customer after they've been within the 'Trial' phase of the funnel for two weeks. The subject of the task would be to gather feedback on the customer's experience. To create the Automation follow the simple steps below. > The Element should be 'Deal' - you can learn more about Elements in our 'Automations 2.0 Fundamentals' article and status should automatically be set to 'Off'. Create the first stage of the new Automation. The first stage should relate to the Event which triggers the automation. In this example it would be the deal joining the 'Trial' phase of the funnel. 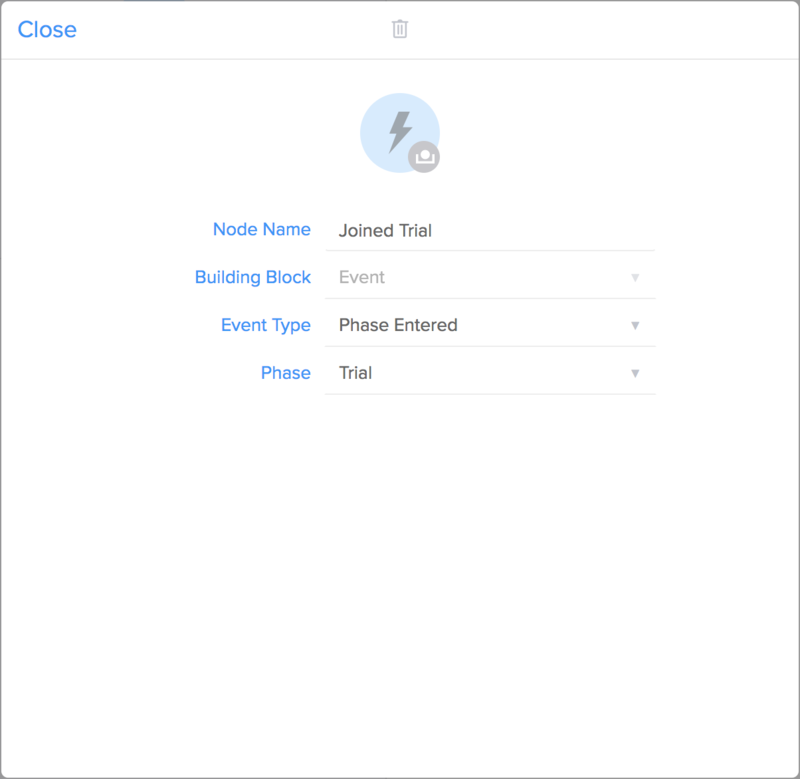 Press the plus sign under start to add this first Node > In our example the Building Block will be 'Event' > 'Phase Entered' should be selected as Event Type > The phase you want the deal to relate to should then be specified in the bottom drop down menu. 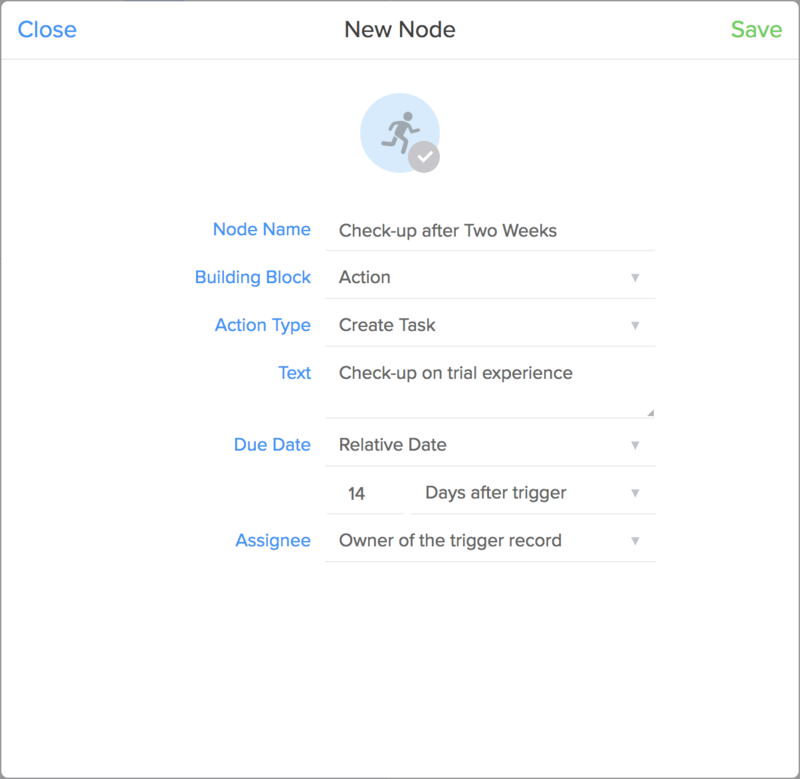 The next Node should create the task of checking-up on the customer's trial experience. To do this an Action Building Block is required. Select 'Create Task' as Action Type > Specify the job you want completing in the Text box > Instead of putting in an extra Wait Node, information regarding the Due Date of the task can be applied within this Building Block > In this example we will select 'Relative Date' and then apply a 14 day delay on your automation > Specify who you want the Task to be assigned to - in this case we select the 'Owner of the trigger record' but the task could be given to any fellow user of SalesSeek. Once you've checked over the Automation and made sure the time delay and assignee is correct, you can activate the sequence by changing the status of the Automation from 'Off' to 'On'. From that point on, whenever a customer enters the Trial phase of your funnel, a reminder to check-up on the customer will automatically be sent to the owner of the deal after two weeks. It is important to remember that the task will not be created for deals that are currently within the Trial stage of your funnel.